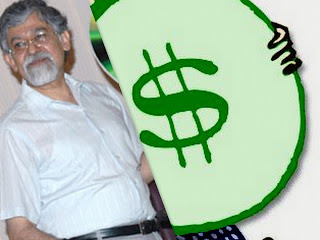 DR ARVIND Virmani’s tenure as executive director of International Monetary Fund (IMF) will be much more interesting than his predecessors given the fact that India intends to make available up to USD 10 billion to shore up resources of the International Monetary Fund (IMF). Currently, IMF has no exposure in India though the international body was a key player in bailing out India from its financial mess in early 1990s. It was already reported that the Appointments Committee of the Cabinet (ACC) approved the appointment of Dr Virmani, currently on extension as chief economic adviser in department of economic affairs (DEA), as executive director in IMF. Dr Virmani will replace Adarsh Kishore, a 1969 batch Rajasthan cadre IAS, in the IMF. Mr Kishore was a former expenditure secretary and then finance secretary. Dr Virmani who served as director in state-owned banks like Punjab National Bank and Allahabad Bank and also in the government think tank ICREAR, is a known economist with a PhD degree from Harvard University. Disclaimer: Picture here is babu blogger's impression, not actual. Action & Appointments a) Tara Datt, a 1983 batch IAS has been appointed as joint secretary in the ministry of minority affairs, in the pay band of Rs 37400-67000, (PB-4) with a grade pay of Rs 10000, for a period of five years. b) S K Srivastave, a 1978 batch Assam cadre IAS, and additional secretary in the ministry of labour and employment has been given additional charge of the post of Director General, Employees’ State Insurance Corporation (ESIC). c) The Appointments Committee of the Cabinet has approved, ex post facto, extension of tenure of R Parasuram, a 1978 batch MP cadre IAS as Minister (Agriculture) in Embassy of India, Rome beyond June 28, 2009 and upto July 20, 2009. d) The Appointments Committee of the Cabinet has not approved the proposal of the Department of Atomic Energy for extension of Central deputation tenure of Dr P Mukherjee, IA&AS (1980), joint secretary & financial advisor in that department. e) The proposal of inter-cadre transfer of Romil Baaniya, a 2007 batch Nagaland cadre IPS, has been approved. He will now have AGMUT as the cadre. f) The extension of Central deputation tenure of Sanjiv K Mittal, a 1987 batch IAS of UP cadre, has been approved. He is a joint secretary & financial advisor in the ministry of coal and holding additional charge of the post of joint secretary & financial advisor in the ministry of youth affairs & sports for a period beyond October 27, 2009 and upto December 31, 2010.